If you’re looking for tips on hitting your driver far and straight, we think Rory McIlroy’s swing is a good place to start. 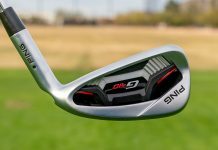 He did, after all, lead the PGA Tour’s 2018 season with an average driving distance of 319.7 yards. 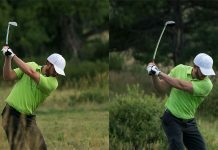 Like all golfers, McIlroy’s swing is unique. 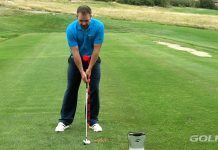 But there are some common elements he shares with all long hitters, and one in particular you can emulate to immediately get more distance on your tee shots: using the ground. Obviously, McIlroy isn’t the biggest guy on Tour. 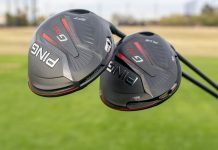 Nonetheless, he often outdrives guys like Tony Finau and Dustin Johnson because of his technique. So how does he hit the ball so far? 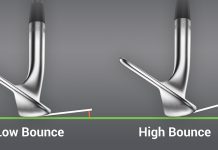 Among other distance-enhancing moves, in the downswing when the shaft reaches parallel to the ground, McIlroy’s knees return to the same bent position they were in at address. From here through impact and the follow-through, he straightens both of his legs and effectively “pushes” from the ground up to maximize his power. 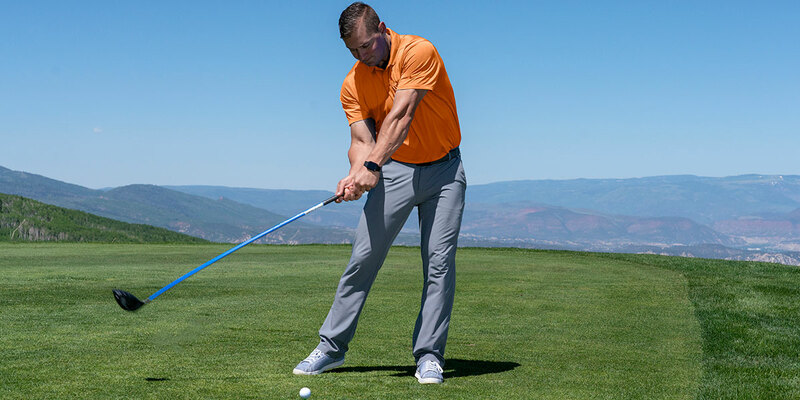 This movement pattern with the knees and legs won’t just help you gain power, it also serves to improve an angle of attack that is too downward – a distance-zapping move common with many amateurs. 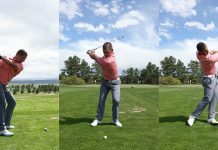 By straightening your legs and subsequently moving your body in an upward direction, the path of your club will follow suit and swing more upward into the ball. 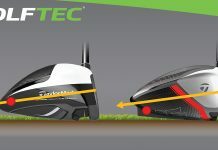 An upward angle of attack is one ingredient for an optimal launch-spin combo and long tee shots. Tracking with us to this point, but wondering how in the world to do it? Fret not, because engraining this motion in your swing isn’t overly difficult. It just takes a solid idea of where to start and some practice to make it happen. To begin, take some slow and smooth swings while feeling your knees staying bent (and hips low to the ground) at the start of the downswing. 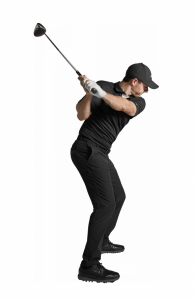 You’ll then straighten your legs into impact and the follow-through, while finishing with your hips pushed forward, over your lead leg, and upper body bent slightly backward, away from the target. 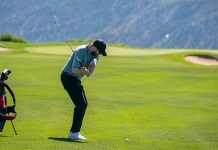 Once you nail this move with with your smooth swings, start ramping up to full shots and you’ll soon be exhibiting the same power moves of McIlroy and many of the world’s longest hitters. 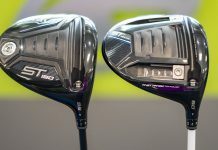 And while you may not start hammering drives 320 yards like the four-time major champ, you’ll definitely see gains in distance like never before. Nick Clearwater demonstrates how you can gain more power off of the tee by using the ground like long bomber, Rory McIlroy. 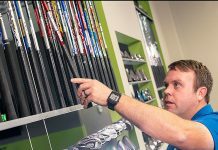 If you’re not sure this tip is for you, talk to a Coach at a GOLFTEC near you today!